If you do not have Outlook installed click here. (This will open a new window with an article on installing Office 365 which contains Outlook). 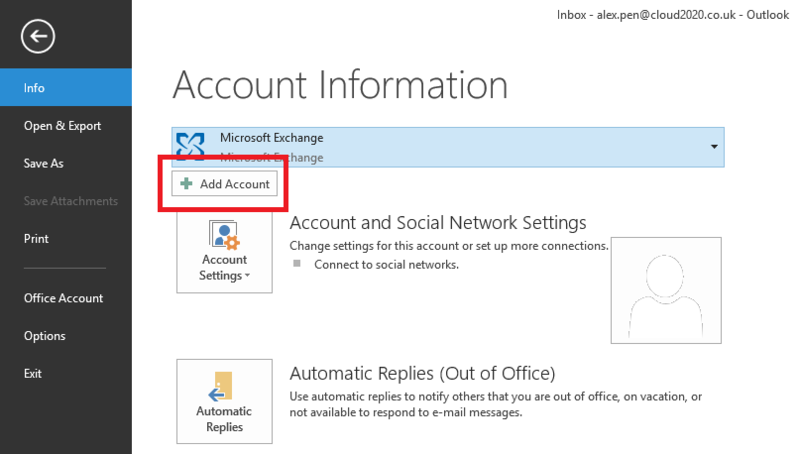 This support article goes through the process of setting up Outlook for the first time (using an Office 365 account, this includes migration from another provider). For this you will want your Microsoft/Office 365 ID (email and password) ready for entry later. You will receive an email similar to the following but with your personal unique username and password. You will need to follow the instructions given and change the password to a personalised one. Note – Some of these steps require administrative privileges. 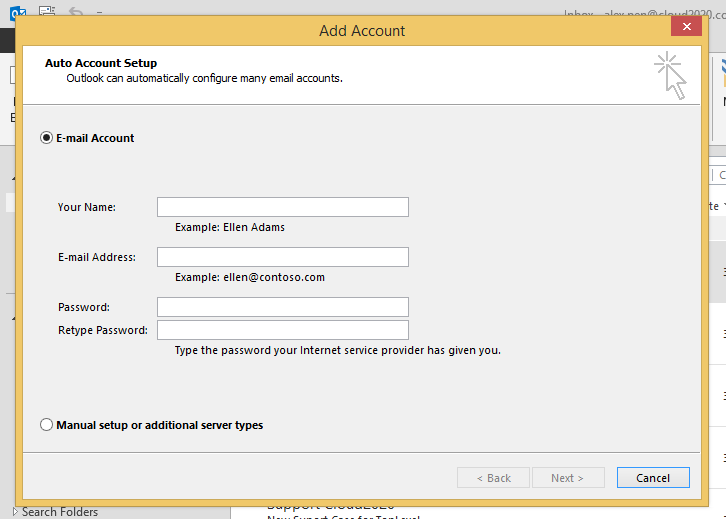 On a PC connected to a network/ domain this may require a user with such administrative rights to log on/ enter credentials. If at any point an administrator’s credentials are needed please contact your network administrator(s). Enter your name, email address and password in the fields provided. If you wish to add another account follow these steps. 6. Let Outlook add your email. 7. When a button called finish appears click it. Any issues with adding your outlook? Please contact Cloud2020 and we will assist you to get your Outlook open and working correctly.